For the past ten years two names have dominated the world of football on account of their standout performances in the field of play .These two players need no introduction to any follower of the game. The two distinguished footballers in question are – Lionel Messi and Cristinano Ronaldo. These two supremely gifted footballers have many things in common: both were infant prodigies, they are the current captains of their national teams, they have shared the the Balloon d’or award between themselves for the past eight years, they are prolific goal scorers and game changers, they rank amongst the highest earners in the sport, they have played for some of the biggest clubs in the world and they have both relatively underachieved playing for their nations. Football – Just like most games, where a select few possess the intricate skills required to perform spectacularly on constant basis – is always bound to engender comparison amongst its top most players by its passionate spectators. So the recurrent question as to who is a better player between Messi and Ronaldo has never been settled in favor of or against either of them. The reason being that in the court of popular opinion, any assessment of their abilities is bound to be very subjective. Majority of fans who bluster days on end on the subject have their choices influenced by the love they have for either of the two football clubs the players ply their trade. While the seemingly unbiased assessors based their choices on pieces of information gleaned from the match statistics of both players. However, extrapolations from their statistics over the years have made the choice too hard to call for this set of assessors. This is because there are certain activities footballers exhibit in the course of a game that match statistics can never capture, either because they are unquantifiable or because their expressions have consequences much later in the game. However, a dispassionate analysis of the other qualities of the two footballers, which does not focus solely on the individual trophies they have won, the number or prizes they have awarded, the number of goals they have scored and the welter of information from their match statistics , will show that one of them has qualitative edge over the other. 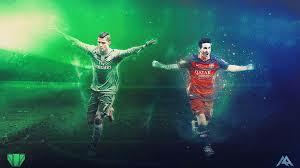 Temperamentally, Messi and Ronaldo are as dissimilar as water and fire. While Lionel Messi is the very pink of modesty, Cristiano Ronaldo shows a streak of irritating vainglory in the way he carries on in and off the pitch. While Cristiano Ronaldo lavishes effeminate attention on his outward appearance, Messi pays scant attention to his outward appearance. While Lionel Messi is able to rein his anger in the face off provocative and cynical challenges from opponents, Ronaldo answers any malicious tackles aimed at him with an equally brutal retaliation – such accesses of rage from Ronaldo, it must be admitted, have been few and far between in his career so far. While Lionel Messi points his hands heavenward in acknowledgement of divine assistance whenever he scores a goal, Ronaldo hits his cheat repeatedly and egotistically in excessive show of self-adulation and self-veneration whenever he finds the back of the net. The contradistinction between them makes it glaringly evident that Messi’s endearing humility and self-effacing nature is more conducive to the fostering of a good team spirit than Ronaldo’s narcissistic self adoration, which is bound to generate simmering resentment amongst his team mates. Versatility in playing from different positions in the field is an aspect where the rival players show gaping disparity in quality. Ronaldo is in his elements when playing from the left flank position, from that position he can launch several attacking runs against his opponents in their own half of the pitch; evade tackles from defenders by his lightning pace and deceptive step-overs; drive the ball from his left foot to the stronger right foot when the need arises to shoot the ball into the net. However, in matches where Ronaldo was moved out of the comfort zone of the left flank to other positions upfront : he struggled and failed to make any meaningful impact. When in the course of a match passes are not feed to Ronald at the left wings, he finds it hard to affect the game positively from any other position. This is the reason he can be anonymous in certain matches for a very lengthy period. Messi, on the other hand, is comfortable playing from any position in the attacking line – be it from the left or right wing or from the central position where he normally operates as a false number nine. He is also at home playing in the advance mid-field positions. In fact, he is usually deployed to these positions while on national assignments. Messi’s versatility adds an element of unpredictability to his overall game, which makes defending against him an overly difficult task; it also affords his manager many tactical options when facing different teams with different tactical formations. Cristiano Ronaldo is almost always ineffective when he comes up against a team that sits back in their own half of the pitch to defend in numbers. This is due to his inability to executive his dribbling moves when not running at top speed along a spacious stretch of the field. Another reason is that his tall stature does not enable him to move with the ball through the spaces in between the opponent’s defenders. In the scenario under consideration, nature armed Lionel Messi with the body structure that allows him to breach defence lines that are formed by many players. His low centre of gravity which comes with his diminutive stature enables him waltz through the entanglement of bodies fronting the opponent’s goal mouth area. Secondly, Messi can run rings round a cluster of opponents in a confined space without the need of excessive speed. As stated before, Ronaldo sphere of operation in the football field is usually restricted to the left flank. Consequently most teams playing against his team always detail fleet-footed defenders to prevent him from making his marauding runs from the left wing. His aerial threat in the opponent’s goal mouth is also handled by the opposing team by assigning defenders with imposing heights to stalk him when defending set pieces and corner kicks. Thus defending against Ronaldo, though not by any means an easy task , does not require methods that are have detrimental effects on the opposing team as a whole. To nullify the attacking threat of Lionel Messi, which finds multiple expressions in his dribbling maneuvers, the precision of his passes, his dangerous set pieces, his movements with and without the ball – involves the participation of the whole team. Most managers playing against a team fielding Lionel Messi most times tweak their tactical formations to curtail his influence in the pitch throughout the duration of the game. Consequently when so many defenders try to stop Messi’s attacking play, they unavoidably leave spaces for Messi team mates to exploit. The foregoing analysis shows that Messi is a more technically gifted player than his Portuguese rival. The only reason Ronaldo, whose technical ability is noticeably inferior to that of Messi , is most times seen as Messi’s equal or his better is solely because he is a prolific scorer, and the essence of the game is to score goals.Ronaldo ,though a potent goal-scoring machine, plays his game with a style which for all intent and purposes is not out of the ordinary.Messi plays with a virtuosity whose parrallel dates back to the days of Football greats like the legendary Garincha,Diego Maradona, Alfred De Stephano.Writing or speaking about the qualities of Lionel Messi always slips from a mere act of description to an unconscious exercise in praise-singing.To avoid this pitfall,the curtain will be drawn on this article at this point.